Okay, I know, I know – I am obsessed. I may as well turn into a snake with the amount of snake print items I’ve got going on in my wardrobe. BUT can you blame me? I just totally love it and I genuinely don’t think i’ve jumped on a trend bandwagon this hard before, but I freak’in love itttttt! I never used to be that fussed with handbags and accessorising an outfit, but let me tell you, that me is long gone. I think accessorising and pairing the right bag with the right outfit just makes a look. I love how adding a print/colour bag to a simple, sophisticsted outfit can just take it next level cute and that’s how I feel about this bag! So you may have heard of the brand Radley as it’s a very well knows British brand with London roots. You’ll most likely recognise the brand for it’s stylish simplicity and good quality craftsmanship, and oh that little scottie dog icon (you know the one). 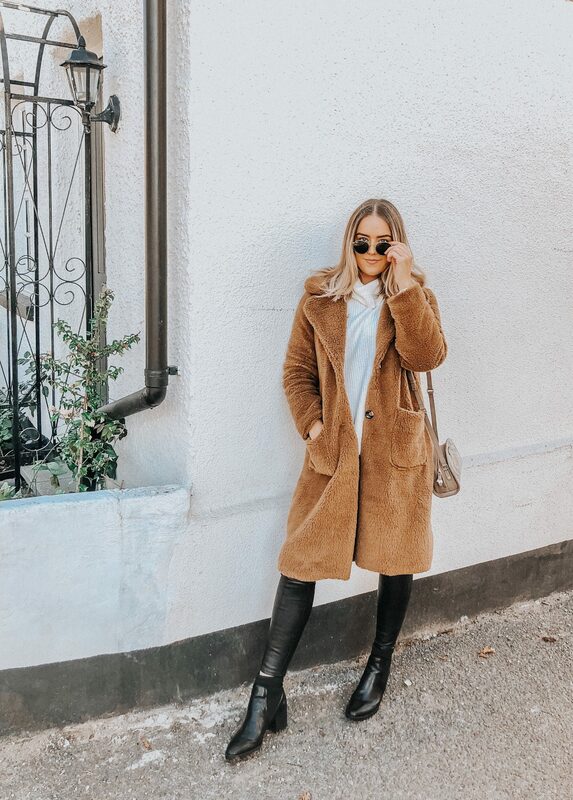 Did you know that Radley has been around since the 1980’s and was actually set up in the Camden markets and since then it has become one of the most well know brands for women’s bags and accessories. I was first introduced to Radley through my Step Mum when I was a young age, I always remember her having her Radley purse to keep all her coins in and I was obsessed with the little dog on it! I was so excited when I got to choose a handbag for myself to style and show you guys and obviously I chose this one! 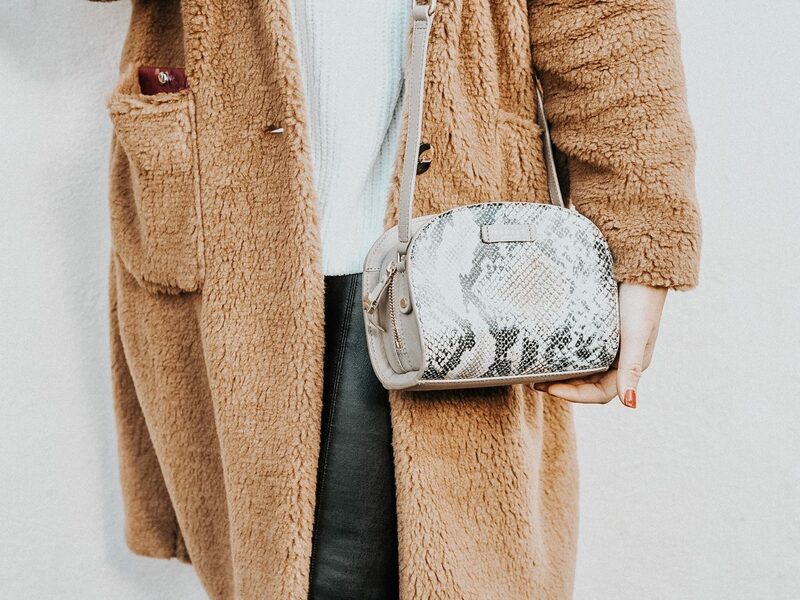 This one is called the Clifton Hall Small Zip Around Cross Body bag and what’s even better is that it is reduced now to only £74! Would you expect anything else from me? I really wanted a nice conveniently sized side bag that was cute, but also a bit different and this one stuck right out to me! I just love how well made, good quality and on-trend this bag is. I love how I’ve paired it with a simple autumnal outfit and I think it stands out against the plain neutral colours! The bag also came in the most gorgeous packaging. It came in a lovely pink drawstring bag which was nicely placed in a structured box to make sure it is kept nice and secure during the delivery process! I would highly recommend looking at some of their gorgeous bags as there were a few that caught my eye! 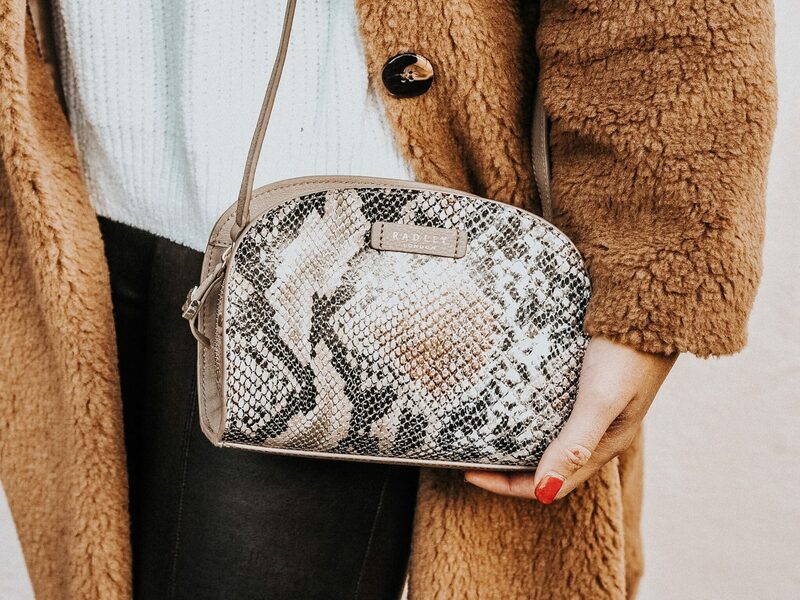 Love the snakeprint bag too! Ooooh I LOVE the snakeprint!! Such a gorgeous pick!